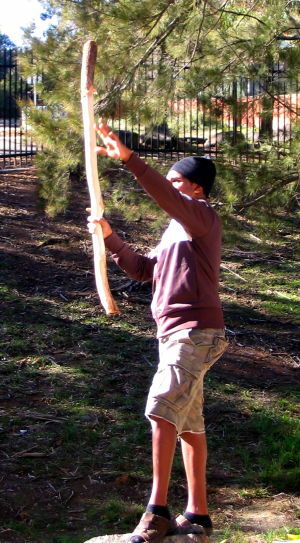 Didge in a Day - Make Your Own Didgeridoo in One Day! Looking for Something DIFFERENT to do on the Weekend? 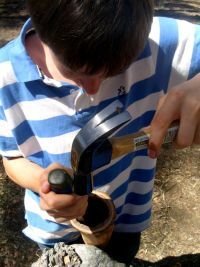 Come and make your own didgeridoo in just one day! Everything is supplied and ANYBODY can do it, so just bring yourself! You don't even have to hollow out your own didgeridooit has already been done for you! In fact, it is termites that have already done it, and then we have collected and seasoned the hollow tree so it is ready for you to make your didgeridoo from. 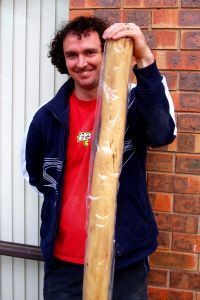 Starting with your naturally termite hollowed tree, you will learn to create your own didgeridoo from the raw products of nature. 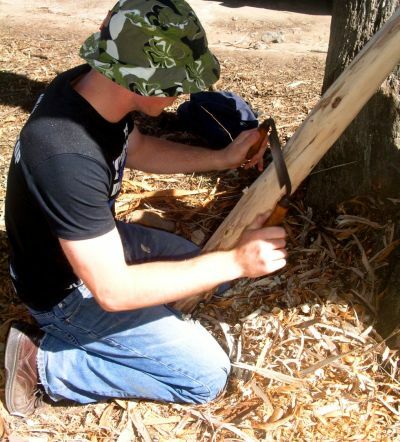 You don't need to have any woodworking skills to be part of our program, but you will gain some if you come along! The whole process usually takes around 6 hours including a relaxed lunch break. At the end of the day you can take your own handmade didgeridoo home-and more importantly, the knowledge about how to make one of these iconic Australian musical instruments is gained forever. Our program has been designed to be EASY for anyone! We do School Programs too! 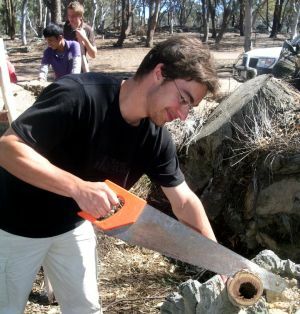 We also cater for high school groups, and have found that this 'hands on' experience for the students is a great cultural exchange activity that is FUN and also gives them tangible skills with a physical result in the form of their own didgeridoo to take home at the end of the day. The 'Didge in a Day' program provides schools with the opportunity to source funding from their indigenous budget, their industrial arts budget, and their music budget, making it more attractive because of the cross over of these areas, which are all addressed simultaneously. We are able to be very flexible with venue location and are able to come to you to run the program if required. Actual program structure is also flexible according to the individual needs of the group. The perfect stress relief activity for you and your work colleagues! The workshop also functions as an effective corporate team building, leadership and staff recreation activity. It is great fun, easy and builds self esteem. This program has been met with an overwhelmingly positive response from ALL participants. We have never had an unhappy participant to date! Please contact us if you have a large group, so we can discuss options.